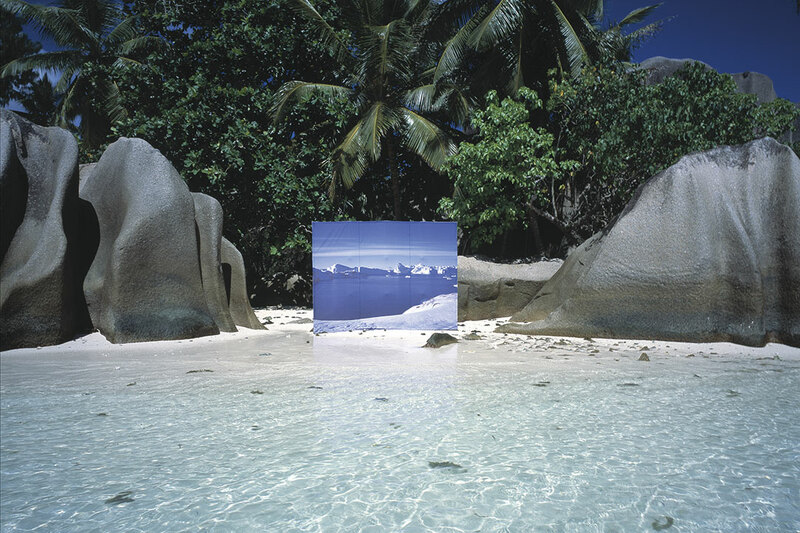 Collision, La Digue, Seychelles, 2003. Lightweight stageset 3,2 x 2,20 meters. A photograph from Northern Greenland shown on the island La Digue, near equator in the Indian Ocean. Piece supported by The Toyota Foundation, Denmark. Size photograph 150 x 120 cm.